The UK's National Risk Register for Civil Emergencies is warning that a widespread outbreak of an antibiotic-resistant blood infection could affect upwards of 200,000 Britons, resulting in the deaths of around 80,000. It's a dire warning at the dawn of the post-antibiotic era. The numbers of infections complicated by [antimicrobial resistance, aka "AMR"] are expected to increase markedly over the next 20 years. If a widespread outbreak were to occur, we could expect around 200,000 people to be affected by a bacterial blood infection that could not be treated effectively with existing drugs, and around 80,000 of these people might die. High numbers of deaths could also be expected from other forms of antimicrobial resistant infection. AMR is a growing problem worldwide. In the absence of antibiotics, even minor surgery and routine operations could become high-risk procedures. Organ transplantation, bowel surgery, and some cancer treatments could become extremely unsafe. People could stay sick longer, potentially resulting in premature mortality. Influenza pandemics could become more serious. To deal with these grim prospects, the NRR says the UK government needs to work with its international partners to secure support at the global level. AMR also needs to be seen as the high priority issue that it is. 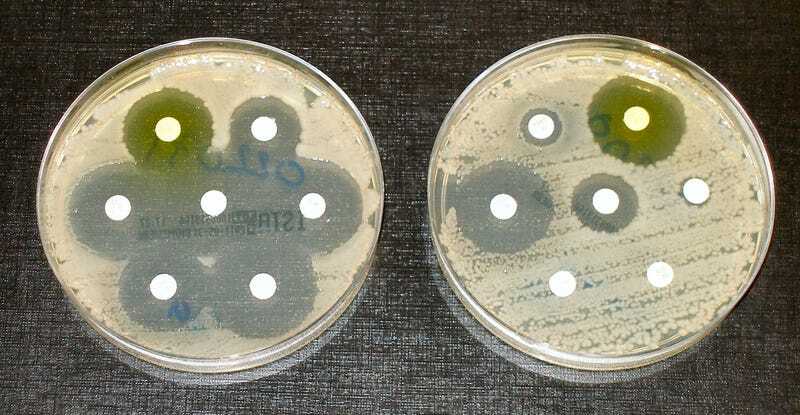 In the United States, the CDC has already warned that the globe is quickly heading into the post-antibiotic era. To address the problem, the Obama Administration has released a national action plan to combat antibiotic-resistant bacteria, along with the call to double funding to fight AMR.